Guadalupe Cabrera Vazquez, 12, daughter of Elvira and Jose Cabrera and sister of Maria, 28, and Jose, 32, is in the sixth grade. She likes making notes, especially AVID. She also likes social studies because she likes learning about what is happening in the world. She loves helping other kids with their problems, projects and assignments. Guadalupe's future goals are to study hard to get into college. She wants to be a surgeon. She would love to travel to Paris because she's always seen it in movies and wants her mom to take her there. 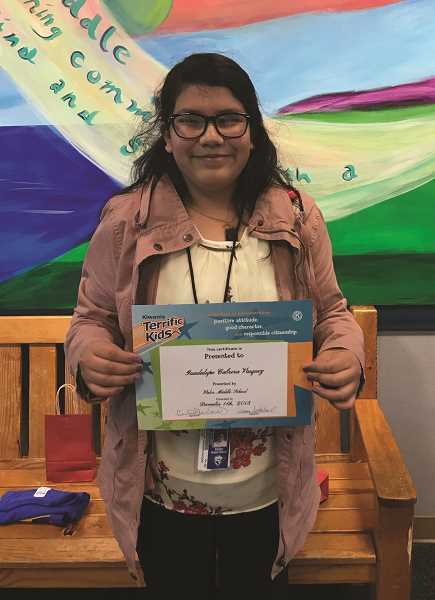 Her nominating teacher, Julie Broxterman, who teaches social studies, said about Guadalupe: "She is always on top of her work. She participates in class discussions. Best of all, she helps out her neighbors, even if they are not exactly her friend." Alejandro Rodriguez, 13, son of Pedro Contreras and Olimpia Fernandez and brother of Brandon and Victoria, is in the eighth grade. His favorite school activities include playing outside at recess. He likes Spanish literacy because it is in Spanish and the teacher helps prepare him for his future. He also enjoys math class. Alejandro's future goals are to go to the engineering high school program. He would like to visit Mexico, especially Jalisco. 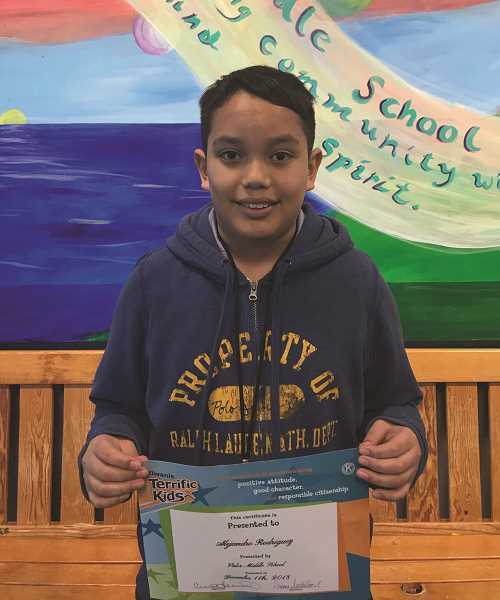 Jenny Salm, his Spanish literacy teacher, wrote about Alejandro: "He is an excellent student who cares about his grades and education. He is very polite, responsible and always willing to help classmates."